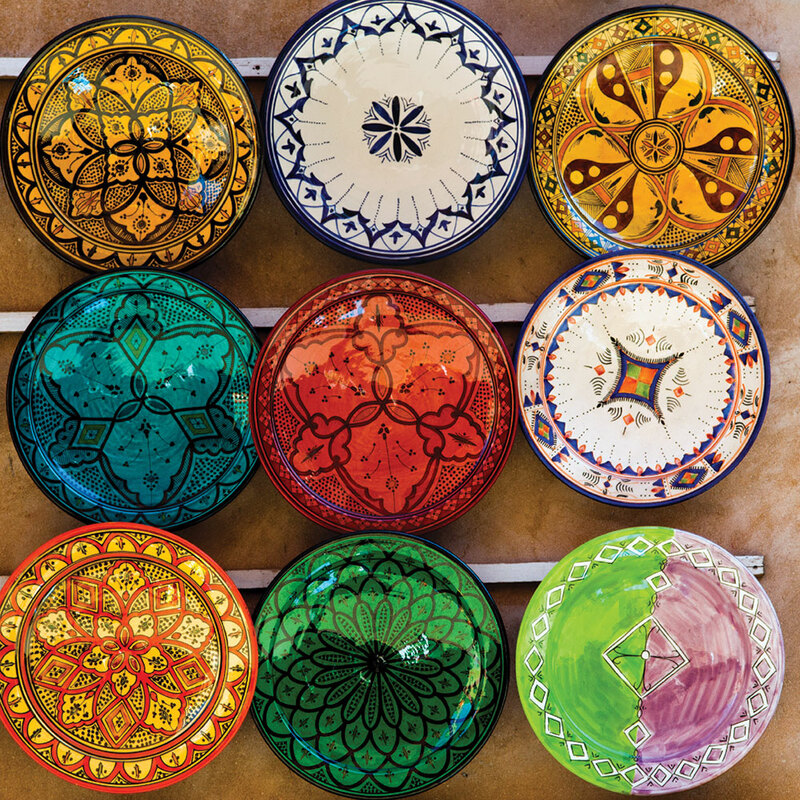 Morocco is fast becoming one of the world’s top destinations for golfing holidays. Around three hours’ flight from the UK, the combination of world-class courses, friendly people, blue skies and summer weather all year round is an absolute winner. Some of the world’s top golf-course architects have worked their landscaping magic in Morocco. Gary Player, Kyle Phillips, Cabell B. Robinson and Jack Nicklaus are just some of the experts who have put their signature on golf courses across the kingdom. 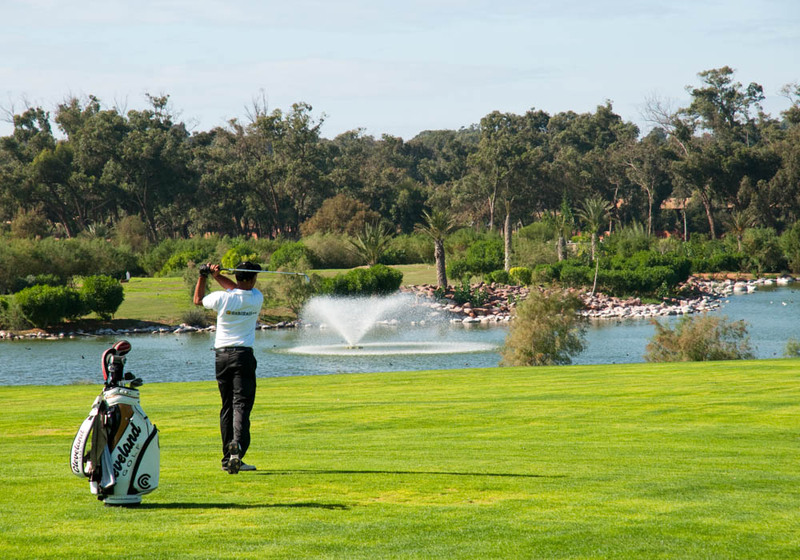 One of the most impressive courses is Royal Golf Dar Es Salam, which is in the capital, Rabat. It was commissioned by King Hassan II in the early 1970s, designed by Robert Trent Jones Senior, and is now home to the Moroccan leg of the PGA European Tour. This year the tournament starts 25th April, when some of the world’s best male golfers will try and tame the 7,372-yard course to win the 46th edition of Hassan II Golf Trophy. The women’s competition, the 25th edition of Lalla Meryem Golf Cup, takes place on a separate track of the course at the same time, making this a great weekend to visit Morocco if you love watching a good game of golf. It’s easy to get a game of golf in Morocco; there are courses in all the main cities, from Fez and Tangier in the north to Agadir in the south. Marrakech has the largest concentration of golf courses to choose from, so if you like variety then you should head to the red city and take your pick. Some have long fairways and grand sweeping greens, while others are tighter affairs, weaving in and out of native trees and carefully-placed bunkers. One course even has an ice bar in the clubhouse! 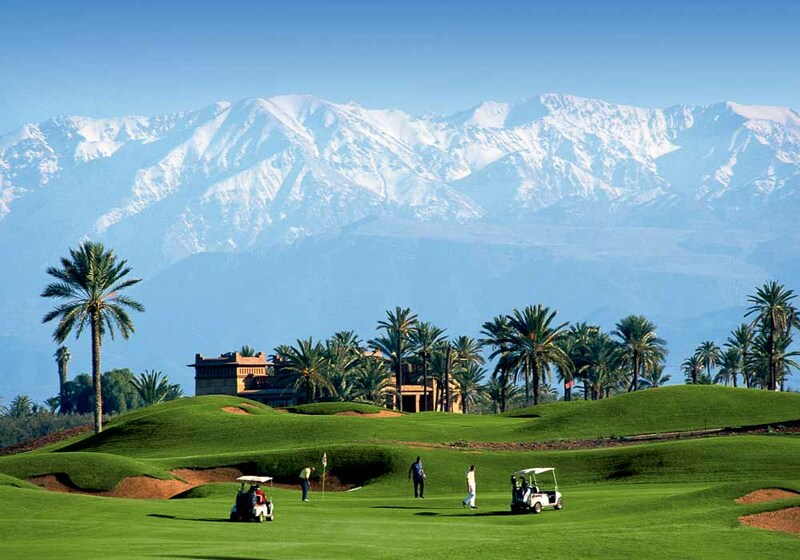 You will also find canny designers have developed the courses to take full advantage of the nearby Atlas Mountains, giving you spectacular views of the peaks on almost every fairway. Along Morocco’s long coastline there are more fine courses, including at Casablanca, Agadir, Essaouira and Mazagan. As you’d expect, they are mainly links courses, and you’ll find an incredible variety amongst them, making a coastal golf tour an attractive option. There’s something very special about lining up a drive off the tee under the warming Moroccan sun with the Atlantic close by. So what’s the best way for you get a game of golf in Morocco? It’s easy, you can travel here on a regular holiday and book your games at whichever courses you fancy. Alternatively, you can book your trip with a specialist golf holiday provider who will organise everything for you: flights, accommodation, green fees and more, to ensure your golfing holiday in Morocco is a success – whatever your scorecard may say.